A Conversation about Perspectives on Migration Centro researcher Carlos Vargas Ramos will let us in on some of the reasons Puerto Ricans do not vote at higher rates, despite their being citizens. Prof. Edgardo Meléndez will discuss the current debate over transnationalism and migration. The two scholars will offer their points at Centro’s first Research Seminar of the semester. Dr. Meléndez, who is currently writing a book on migration and politics in Puerto Rico and the U.S., will add invaluable perspectives into this discussion. In his article “Puerto Rican Migration, the Colonial State, and Transnationalism,” he concludes that given the particular historical construction of colonialism on the island, Puerto Rican migration is best understood as a colonial migration: the movement of colonial citizens from the colonial periphery to the metropolitan territory. To RSVP for this event contact centro.events@hunter.cuny.edu. 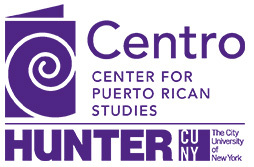 For updated information please visit us at centropr.hunter.cuny.edu, call (212) 396-6545, or follow us on Facebook and Twitter. Centro Events are free of charge and live-streamed from our website.